Do check out her shop (there is much more fabulous stuff there ) and find Joey's blog here. 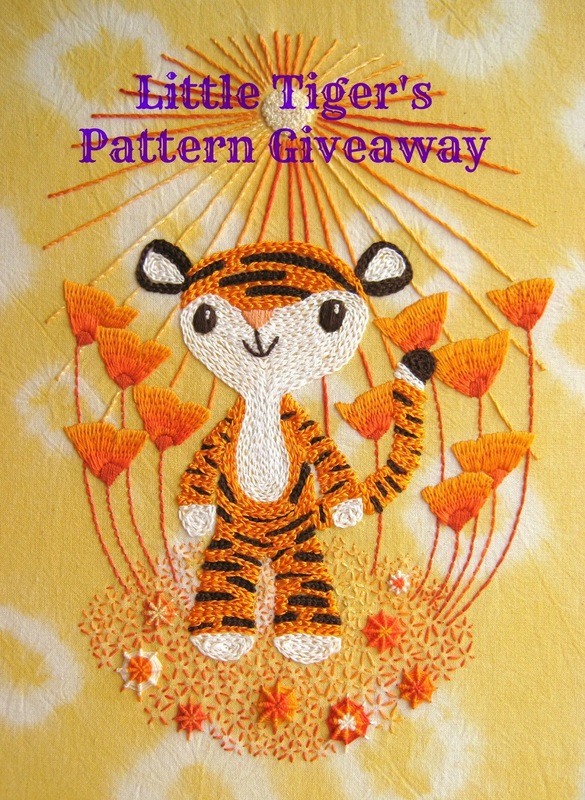 So what do you have to do to have a chance of winning the Little Tiger's Orangey Celebration PDF Pattern? Leave a comment on this post and as usual leave an easy to follow trail so I can find you if you are the lucky winner (which reminds me I haven't heard from last week's winner yet...) Let me know what your personal favourite Tree ornament is! This giveaway ends on Thursday the 22nd of November, 12 noon Amsterdam time. My favourite Christmas decorations are old battered Santas from the 1970s - not retro, just genuinely old! They have been part of our Christmas for decades now so I love them even though they are on their last legs. I love the old chinesey paper lanterns that Mum and Dad had on their tree and I need to find for my tree now! The little tiger is just lovely! 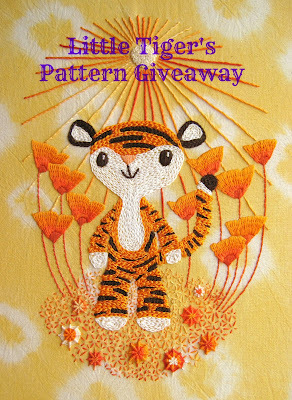 Little Tiger looks adorable and a beautiful bright thing to stitch in winter! my favorite ornaments are the ones from the 60s that have pinwheels inside and spin with the heat of the lights .. only the lights don't put off enough heat anymore. Love the tiger. That's a tough one! So many sentimental favorites. I'd have to choose a little wooden one that has a group of sledders, connected in a line. It's so old fashioned and sweet. Hmmm...probably the plastic canvas ornaments that mom and I made back when I was in high school. Thanks for the giveaway! I've always loved that tiger. My all-time favourite tree ornament is one which was my gran's, and then she gave it to my mum when she stopped bothering putting up a Christmas tree. 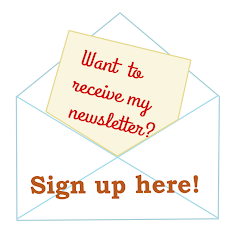 It was a transparent red plastic ring and suspended inside was a shiny glass silver and red beetle! Just done a search and OH MY GOD THAT'S IT!! Here's the link: http://www.christmas4ever.com/item/1384.html I loved it because it was just so ODD! I have three- each is a picture of my husband and I, one for each year since we got married. Which reminds me, I need to get this year's ornament frame and picture soon! I have some really wonderful glass ornaments that were my parents ~ I think they are from the 40's. Very bright colors in red, blue and green. I love having them. My favorite ornament is one my Mother gave me before she passed away. It is a opossum hanging upside down and reading a book. I love the whimsy. Thanks for the chance to win. My favorite is a white felt dove I made in first grade for my mom. I put a roosters comb on it lol My family tries to hide it from me but I find it and put it front and center every year! Thank you for the giveaway! 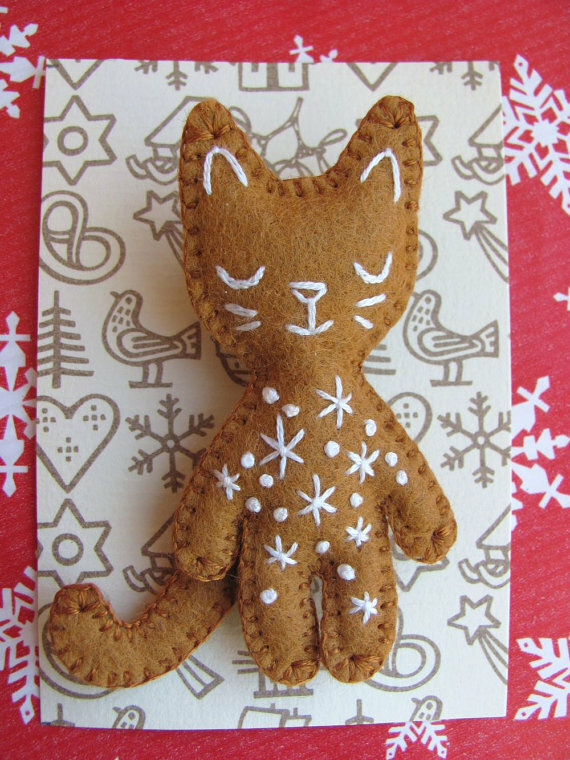 90% of our ornaments are handmade. Each year my girls and I make new ones, but my favorite is the one I made in 2nd grade, a hand sewn felt Christmas tree. What a terrific little tiger.I love the whole pattern,eventhe grass he's walking on.As for fave ornaments, my granddaughter and I get together every year and try a new hobby to make ornaments to give and to hang.So far her painted efforts from when she was 4 are my favorites.Thanks for the chance to win the tiger pdf, and for writing such a good blog. my favourite ornaments are some wooden little men/women my grandma bought decades ago. Love it! The tiger is so cute!!! Thank you for this giveaway! Amazing!